The founder of Amazon worked on the grill at McDonald’s and Steve Jobs had a summer job at HP where he met the co-founder of Apple. 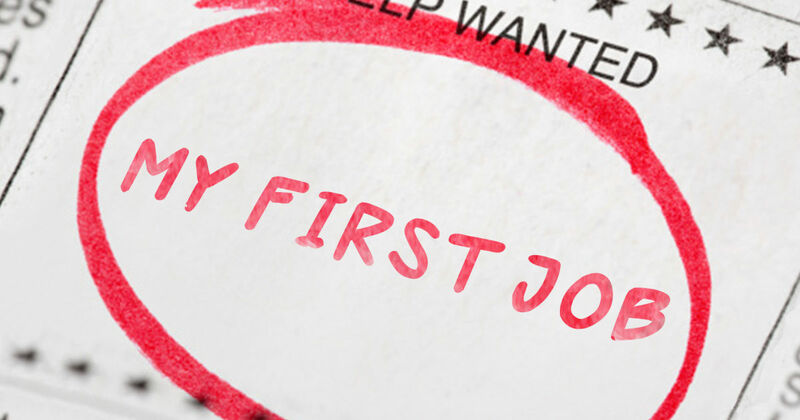 The bottom line is we all start somewhere, and how we conduct ourselves in our first jobs, can pave the way for a successful career. Sophie Graham, Careers Adviser at the National Careers Service offers her top tips on things you should ~never~ do in a new job. Careers England is delighted to share with you the report of their Task Group looking at best practice in Commissioning. This valuable piece of work collects together lessons learned and observations from ‘the other side of the fence’. It’s a very useful insight into how providers feel in the commissioning process and gives an insight into approaches that can achieve better outcomes for commissioners, beneficiaries and providers, and improved value for money. The following article by Rebecca Knight, a freelance journalist in Boston and a lecturer at Wesleyan University, might be of interest to clients wanting IAG on mid-life career moves. These questions are especially agonizing for mid-career professionals who may be searching for fulfillment while juggling demands at home and intense financial pressures to earn. How should you address a mid- career crisis? What actions can you take to improve your professional satisfaction? How can you combat the dullness and tedium of your workaday life? And how can you tell if it’s time to make a drastic change? organizational behavior at INSEAD. “It’s a protracted feeling of, ‘Am I missing something?’” This type of professional discontent is relatively common in middle age, he says. “Midlife is the time where you lose the illusion of immortality. You know your opportunities aren’t endless, and you realize that time is finite,” he says. Even people who have achieved a great deal of career success aren’t immune to these feelings, says Whitney Johnson, an executive coach and the author several books including Build an A-Team. “They question: ‘Is this really what I want to be doing?’” She says that while “it’s natural and normal to experience professional restlessness,” you must heed “the call to action.” You need to be “proactive and figure out what to do about it.” Here’s how. 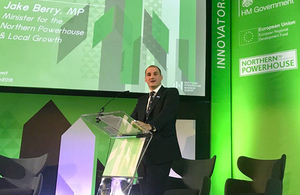 Local Enterprise Partnerships in the North of England will form an influential new body to support the government’s ambitions for the Northern Powerhouse across the region, Northern Powerhouse Minister Jake Berry MP has announced. As we approach leaving the European Union we need to ensure that every area of the UK continues to economically flourish. The Northern Powerhouse will be a vital support to the UK in achieving this and so I am very pleased the 11 LEP Chairs have agreed to form the new NP11 board. For the first time since 1472, we will bring together the business voices of the Northern Powerhouse in our Council for the North. They have one task: to enrich all the peoples of the North of England – this is the foundation stone of the Northern Powerhouse and, with the skills and expertise of the NP11, we will shift the North’s economy into overdrive. Together we will deliver a North of England which is an economic powerhouse and one which can proudly take its place on the world stage both now and as we leave the EU. At the 2018 DiversityInc Top 50 event, more than 400 people were in attendance during the day to hear Executives from AT&T, EY, Marriott International and Wells Fargo give career advice on how to develop and manage a successful career. 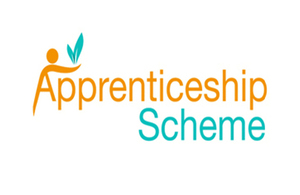 The apprenticeships are training opportunities for anyone looking for a career in business administration. You will undertake a programme of formal training combined with a wide range of work experience. You will be based in one of the operational delivery or support units of the Intellectual Property Office (IPO), who are responsible for Intellectual Property Rights (patents, trademarks, registered designs and copyright) within the UK. Further information and how to apply is available on the Civil Service jobs website. This document sets out the funding and performance-management rules for the European Social Fund (ESF) 2014 to 2020 Programme. It was last updated on 8 May 2018. This handbook (Updated April 2018) describes the main activities inspectors undertake when they conduct inspections of further education and skills providers in England under Part 8 of the Education and Inspections Act 2006. It also sets out the judgements that inspectors will make and on which they will report.